The first Old Warden carrier meeting of 2018 featured 15 pilots, with two attending from Holland – well done chaps! Saturday afternoon was wet and cold, but the morning and all day Sunday enjoyed excellent weather. 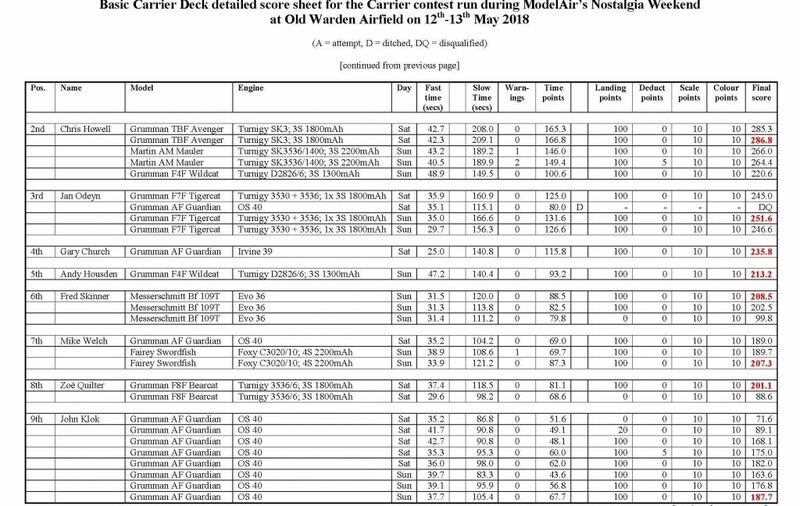 Unusually the wind was blowing at 45 degrees up the runway, necessitating a deck move early on and a noticeable downhill slope on landing. Nine of the 15 models featuring in the results list were electrically powered, with the I/C motors ranging from .32 to .40ci – no brute force 61s this time! Although I brought my OS .40 powered Martin MO-1 along, its lines were never spooled out; even I, the arch methanol-head, flew all-electric! The gulf between the top and bottom fliers on the leader board has increased a lot over the past couple of years.My old-school (new build) Housden Hellcat in US Navy Drone colours flew well for a pensioner but would only have maxed out at about 160 points if I’d managed a hookup instead of ditching. 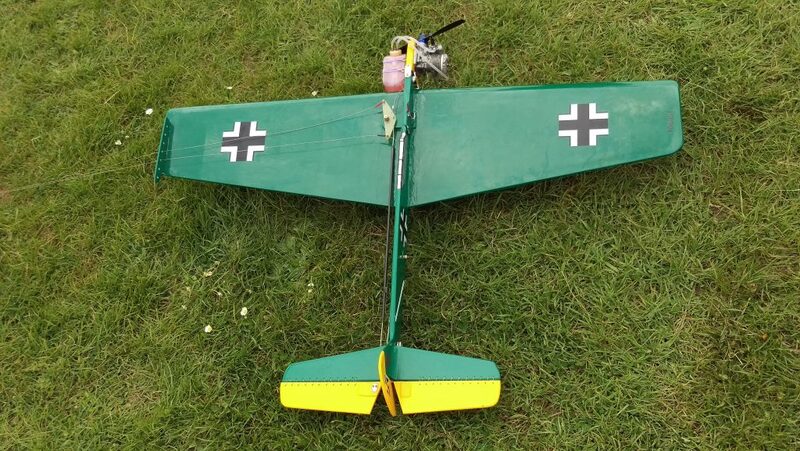 My ultra new-school Messerscmitt Bf109T (glass-fibre R/C kit conversion) got me on the scoreboard with a perfect maiden flight, but with less than 150 points. 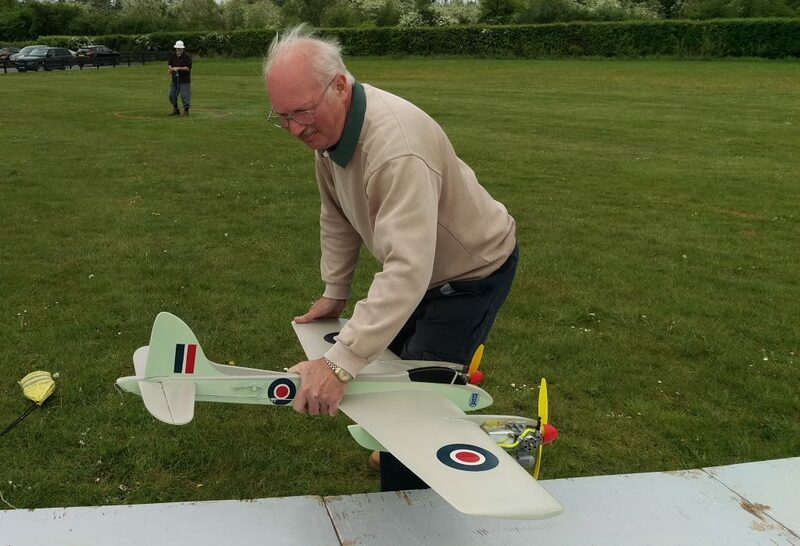 Meanwhile, at the other end of the board, Nigel Frith cracked 318 points with his foamy electric Zero, with Chris Howell and Jan Odeyn following on well under the 300. I wonder what the future holds? Chris Howell has been thinking about a ‘Junior’ type of Carrier event that could be used to tempt curious spectators and C/L fliers from other disciplines into having a go, as well as providing alternative therapy for the rest of us while we wait for our BCD flight, or even indoors in the winter. He brought along a matched pair of electric foamie Wildcats as examples of what can be made quickly and cheaply – it’s a great idea – let’s give it a go! 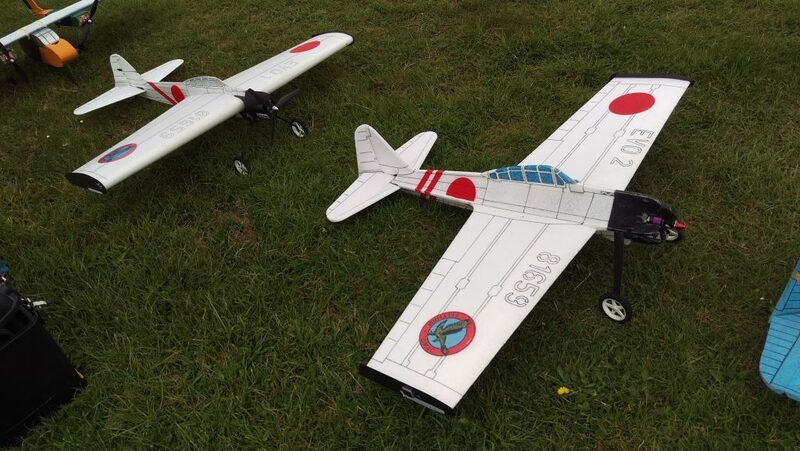 Moving on to the models and fliers in the main event, Nigel Frith had examples of his original and a new, cruciate-fuselage Zero that promised to add stiffness to an already successful design – however, his winning flight was with the bendy version. Chris Howell made five scoring flights, all over 200 points, but even his best (286.8) couldn’t get withing striking distance of Nigel. 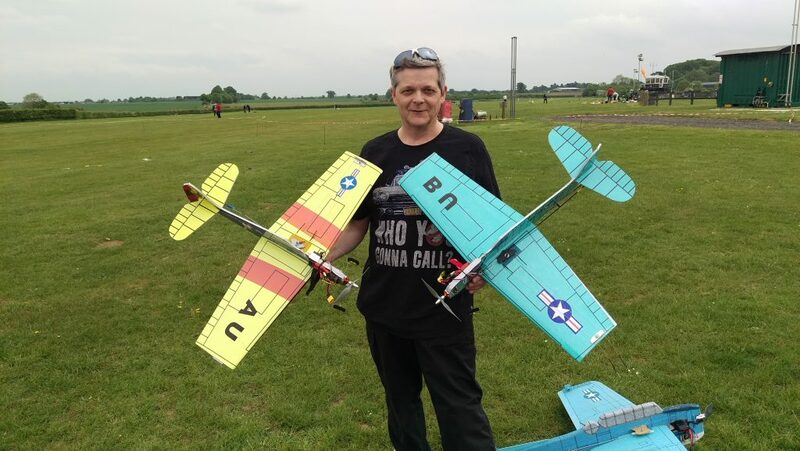 Using his Avenger and Mauler, he was still more than 30 points ahead of third place man Jan Odeyn. 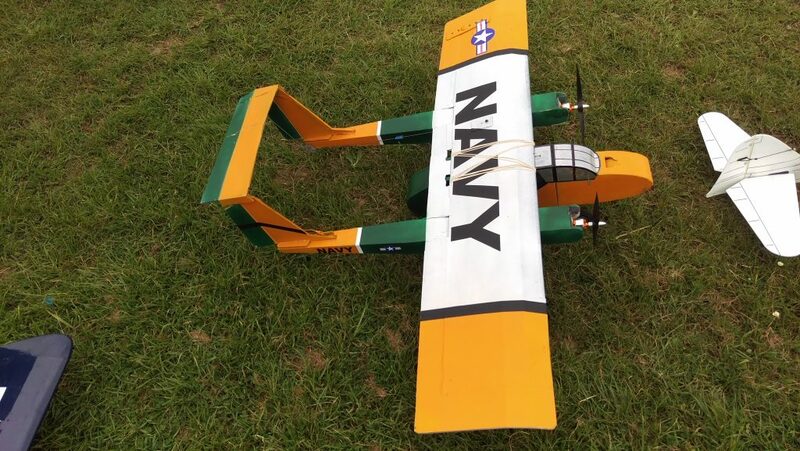 Chris also tried out another new idea, a North American OV10A Bronco, constructed from foamboard and looking just a little square as a result! 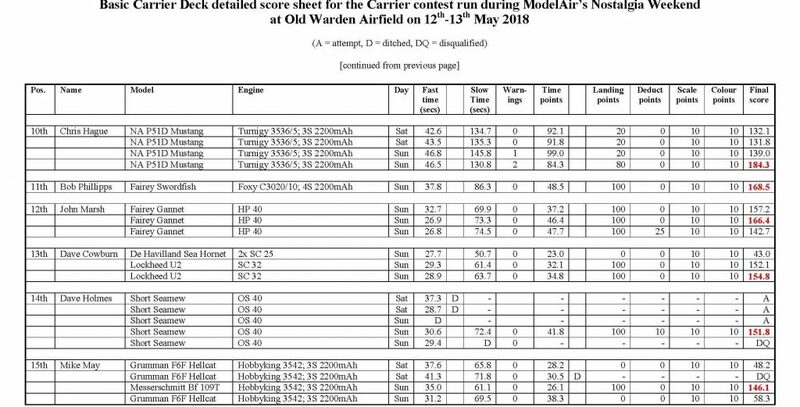 This is a very new departure for Carrier-type models but on the plus side they are incredibly quick to build for electric power with just a ruler, knife and hot-glue gun. 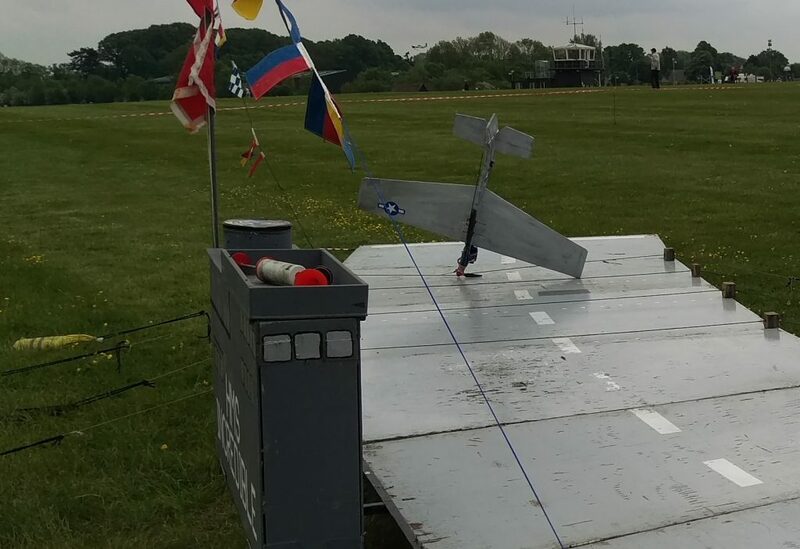 Chris elected to try an un-hooked landing (the full-sized plane had no hook) and rely upon reverse thrust to stop. 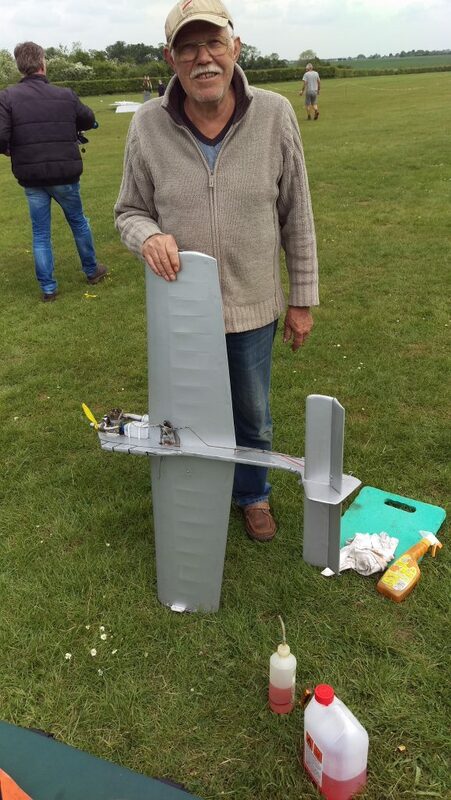 Alas, the ESC had other idea and refused to go backwards whilst the props were still windmilling forwards – however, as Chris said afterwards, it was a useful learning experience! Gary Church brought along his blisteringly fast Guardian (25-seconds for the first seven laps), and took fourth place, and top result for an I/C engine – 235.8 points. A very consistent performer, he could (IMHO) easily get back into the top three on his flying skills if he went lightweight electric – how about it, Gary? 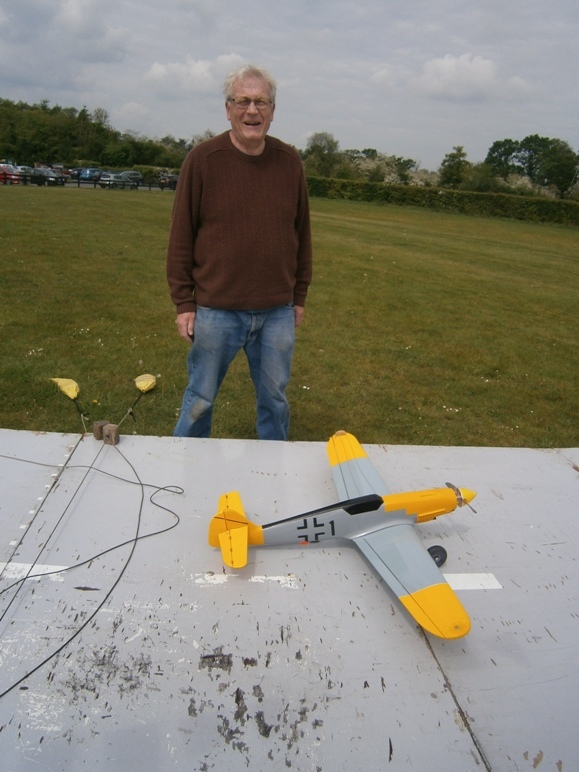 Fred Skinner made the trip from Manchester worthwhile by picking up sixth place with his (now) two-year old veteran Messerchmitt Bf109T based upon the Eric Conley design, although he only competed on Sunday. The design has been incredibly successful in the US and is still a potential top-three finisher but again, only if it’s up against i/c motors… any plans for an electric conversion, Fred? 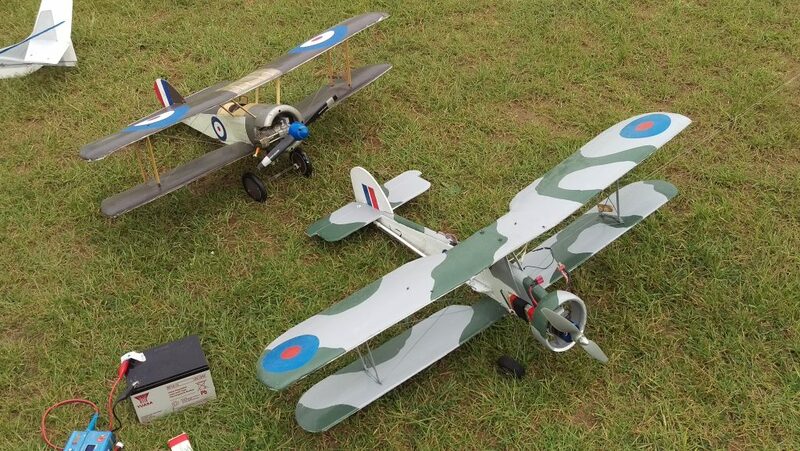 We owe our thanks as usual to Mike Welch, who provided the deck (HMS Incredible) for us to use – he brought a flock of models along to fly. In Carrier, he tried an i/c Guardian (Jan Odeyn’s I think) for 189 points, but reverted to his electric Swordfish to pick up 207 points for his placing. 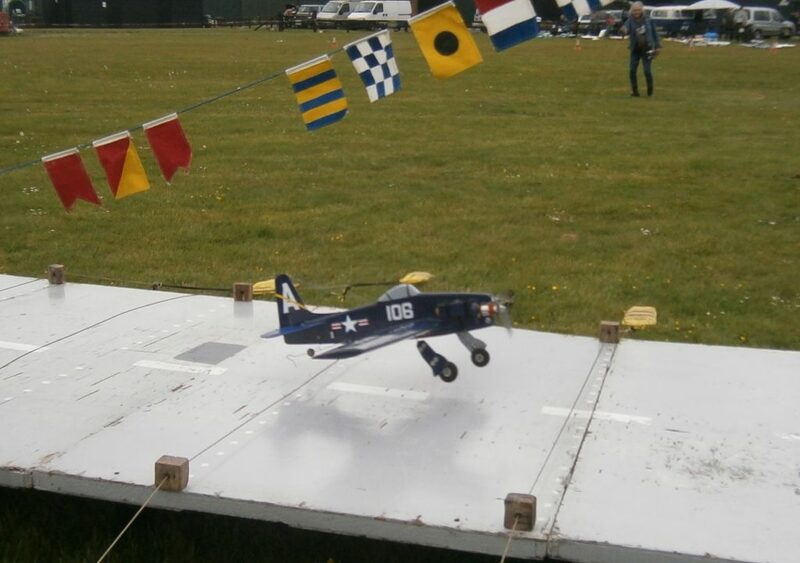 Zoe Quilter made a welcome return to Carrier flying last year, and has been building models over the recent winter flying break to good effect – eighth place with over 200 points was a very good result with her Bearcat, while getting that new Tigercat sorted (apparently a real challenge to convert to electric from the Brodak kit). 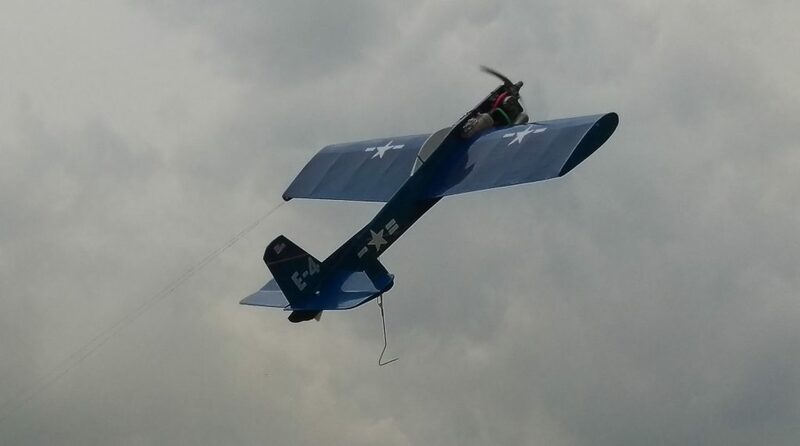 John Klok is new name on the Old Warden scoreboard – travelling from Belgium with Jan Odeyn he flew Jan’s (?refurbished?) i/c Guardian to very good effect – in fact he flew more often than anyone else (eight times!) 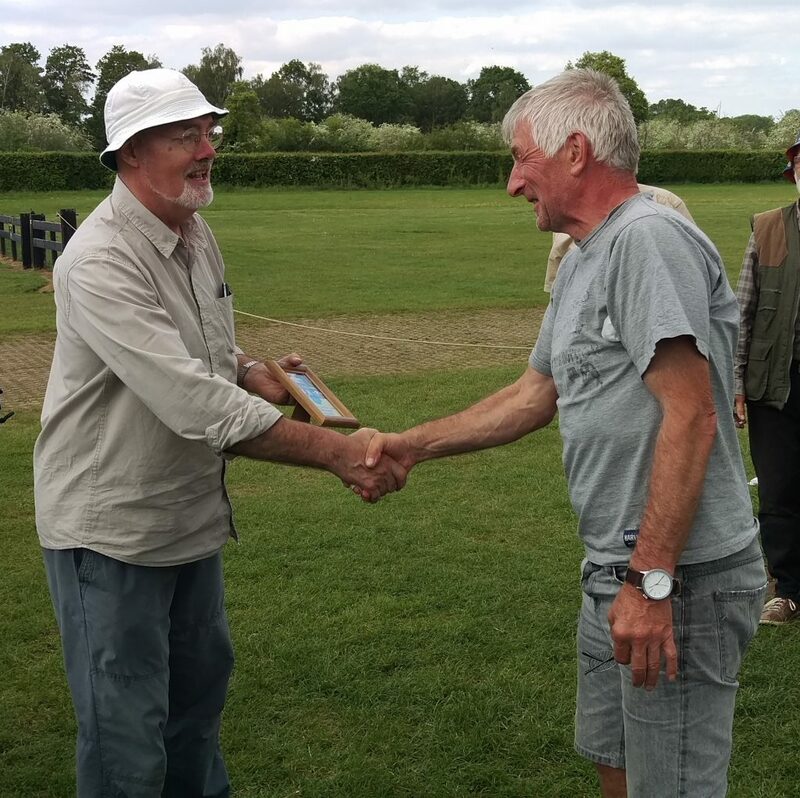 and steadily improved his scores over the weekend from 71.6 to 187.7 – now that must be a combination or natural talent and a very good teacher – well done John! Coming up from the same remote (from the throbbing hub of c/l that is OW!) south-west as me, Chris Hague somehow manages to arrive looking calm and focussed – unlike me! He brought a new creation along – a foamie (ex RC-kit?) Mustang that he was obviosly still getting used to – very different from his conventionally-built models of previous years. He had three flights that ended in minimum landing points, but the fourth dropped just 20 to give him 184.3 points and tenth place. 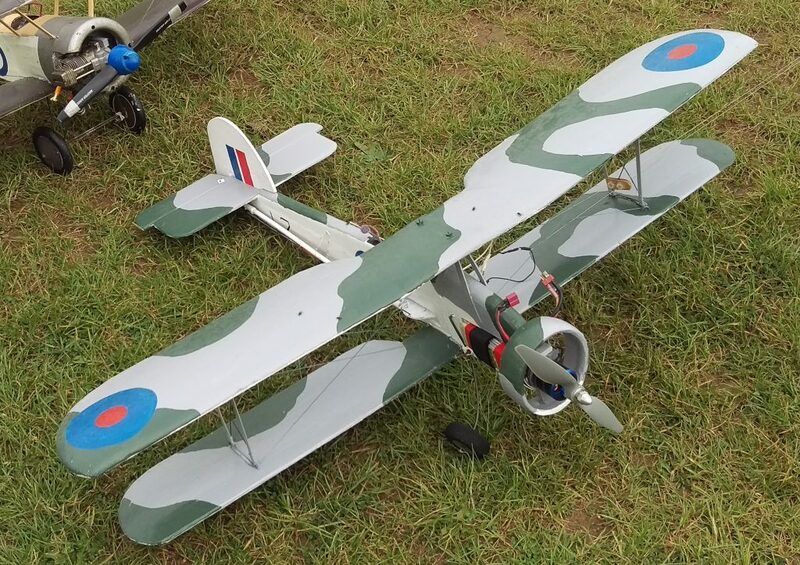 Bob Phillipps dropped in on Sunday without his trade-mark Supermarine 508, but was soon persuaded to fly Mike Welch’s Fairey Swordfish. 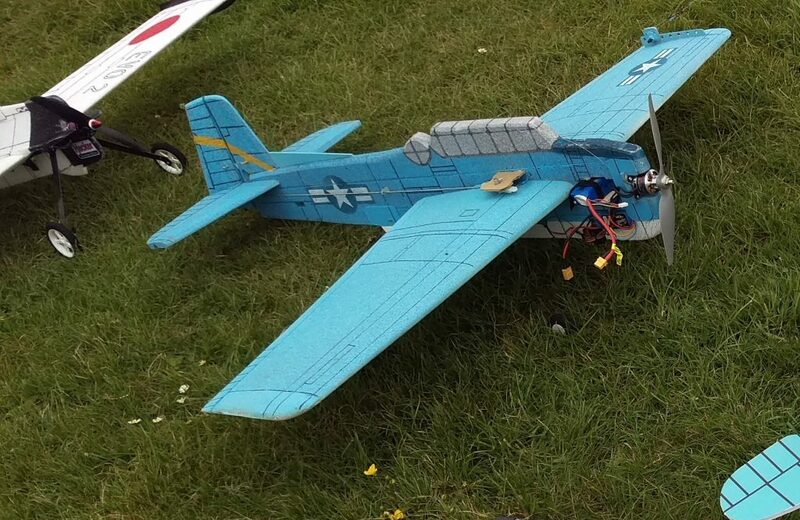 His only flight with an unfamiliar model still netted Bob a perfect landing and 168.5 points – that is real skill! John Marsh’s HP .40-powered Gannet made three good flights on Sunday, the best of which turned in 166.4 points for 12th place. 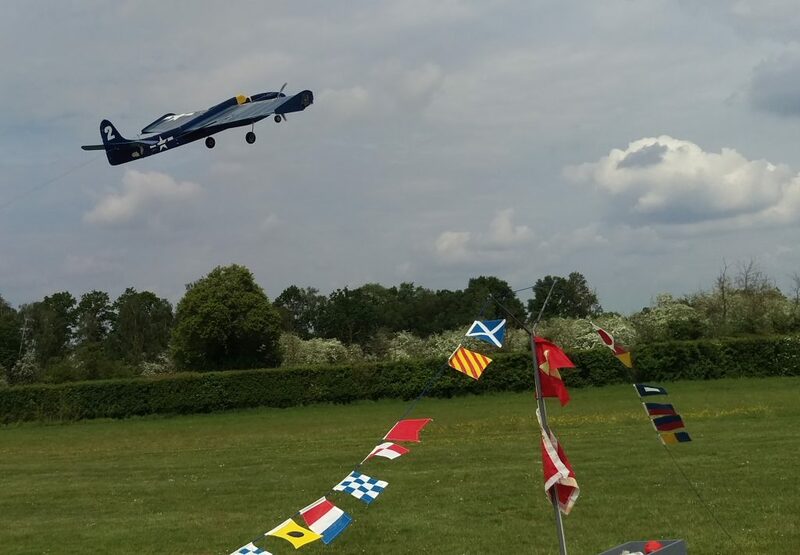 I felt privileged to be asked to be launcher Dave Cowburn’s new twin-engined Sea Hornet on its first competitive flight – it was my first experience of crewing with a twin-engined i/c model too! 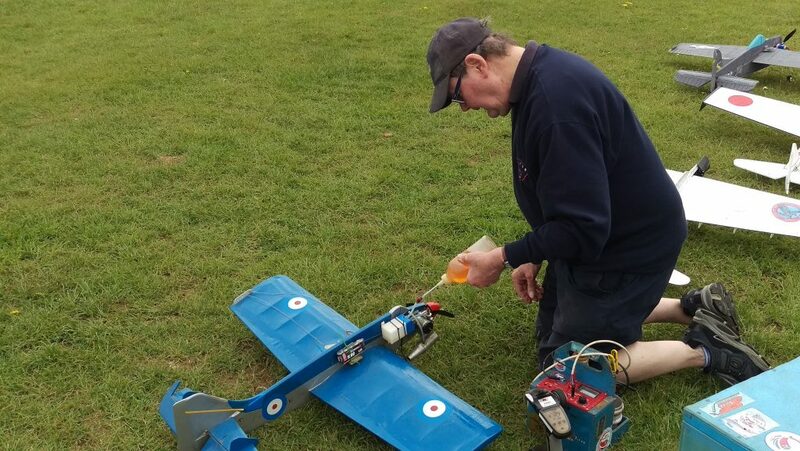 Dave is very much committed to i/c power, as witnessed by his lovely Whirlwind stunter (2 x Oliver Tigers) that he flew last year in profile scale and his ‘U2’ (SC .32) that he brought along as back-up to the Sea Hornet. 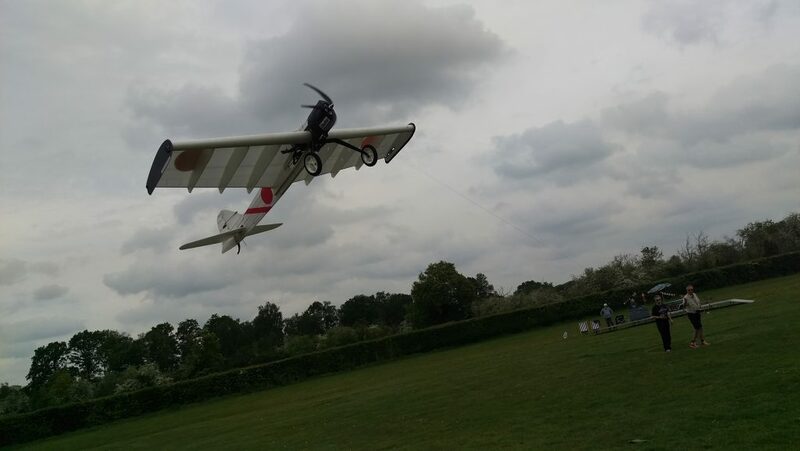 Fitted with two SC .25s, the noise and the sight of the model in the air is thrilling – and holding on to it pre-launch was a bit thrilling too! 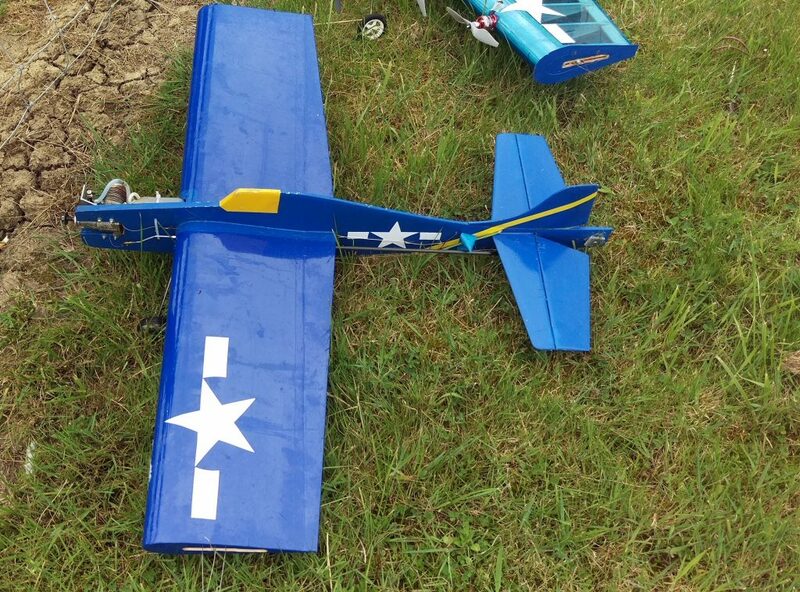 Dave had some practice flights, then an attempt that scored just 43 points after an overshot landing. 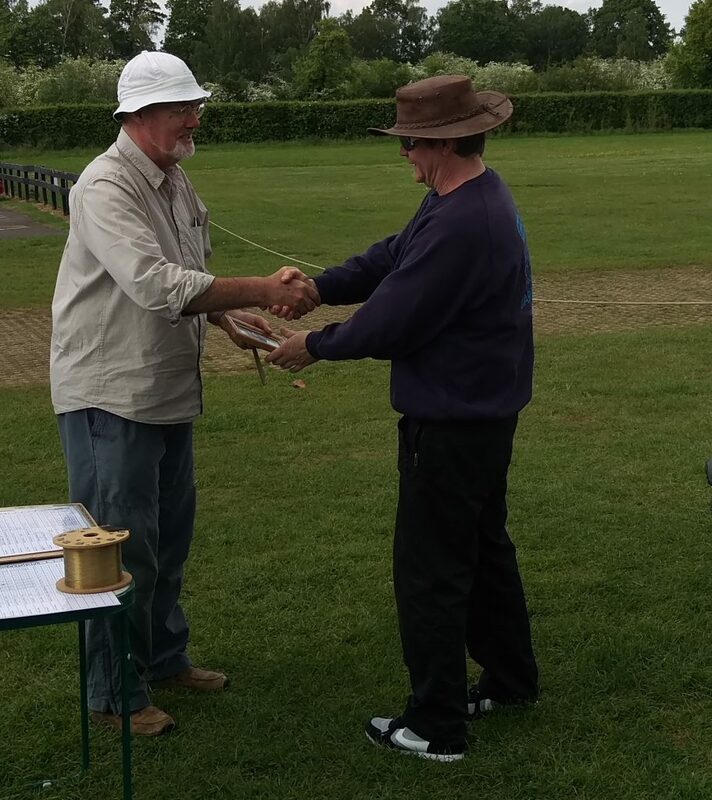 Undaunted, Dave used it as a learning experience and continued with his U2, scoring 158.4 to capture 13th place. 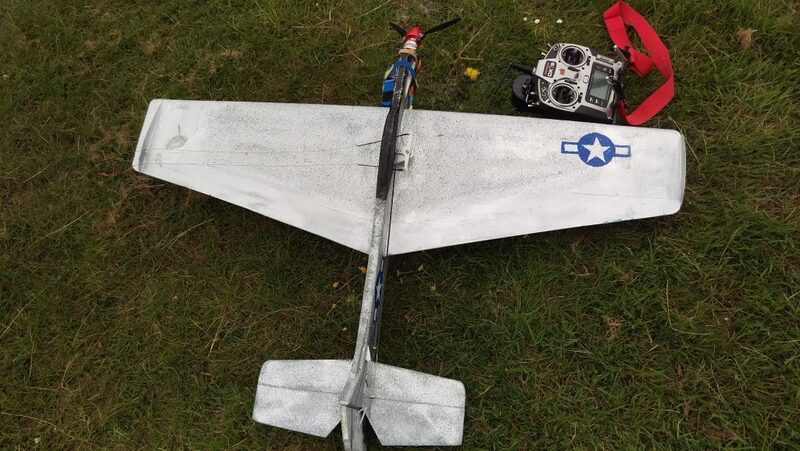 I also maiden-flighted my electric-powered Wildcat drone which flew well, but floated too much on the approach leading to overshoots – that great big flat-bottomed wing again! 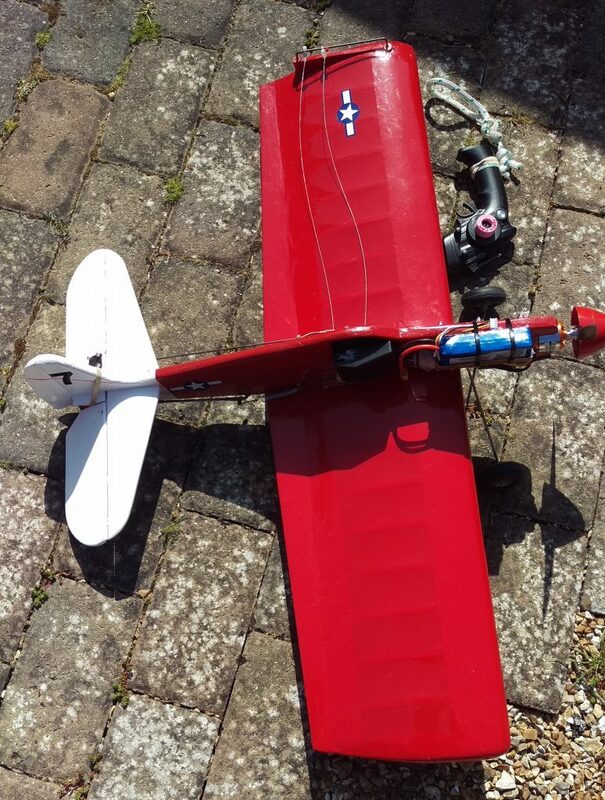 I also learned something new: there’s just enough poke in a 2200 Lipo to fly five yards short of two landings with it! So on to the presentation of prizes. 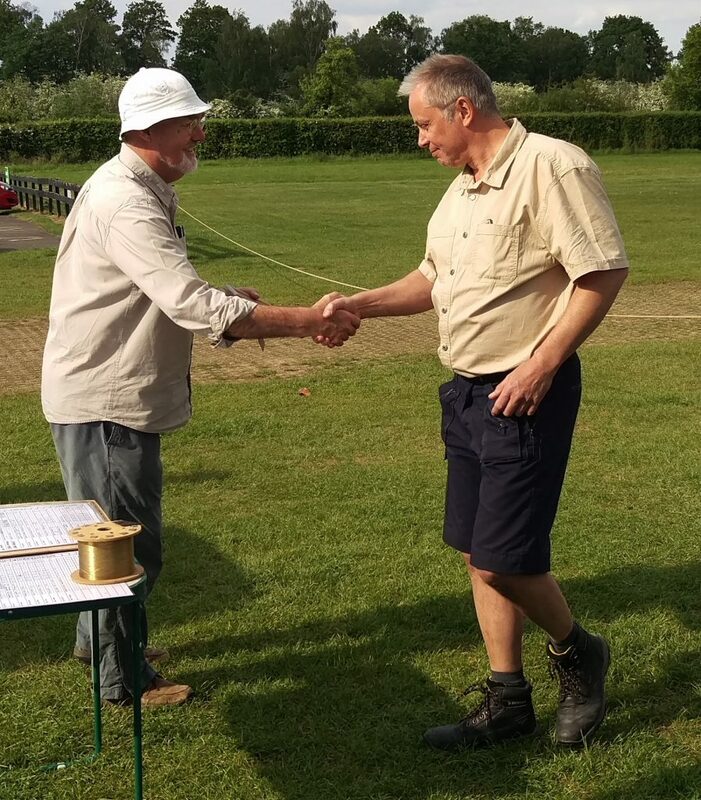 Once again Andy Housden deserves thanks from ALL of us for running another very enjoyable event, Mike Welch too for providing the deck, and Nigel Frith and Chris Howell for taking over deck operations to give Andy a break at times. That’s all for this time – looking forward to the next one!